With around 50 golf courses to choose from; 3 Open Championship venues, the west coast of Scotland offers some of the best golf in Scotland. Below are our top picks for Golf in Ayrshire. Dundonald Links opened in 2005. It was purchased for the members of the illustrious Loch Lomond Golf Club to enjoy a links alternative to their beautiful parkland course. The welcome and the service you receive at Loch Lomond is very much echoed at Dundonald Links. Set in Ayrshire’s golfing country, Dundonald Links is located next to other famous links courses in the area; The Gailes and Western Gailes. With tournament golf design in mind Dundonald Links is very playable for golfers. As a result, many teeing grounds can set the course from around 6400 yds to 7300 yds. In 2017 Dundonald Links had its own day in the sun when it hosted The Scottish Open. The event was won in a playoff by the Spaniard Rafa Cabrero Bello. Dundonald Links oozes quality from the minute you drive through the gates. It is a great way to enjoy a high quality golf in Ayrshire with a modest green fee. Founded in 1787 by The Glasgow Golf Club, Gailes Links is the 9th Oldest Course in the world. Designed by Willie Fernie and then tweaked by Willie Park Jnr. These two have put their names to some of the greatest courses in the world. Consequently Gailes Links is one of those fun courses you want to play again and again. Its one of those courses that require laser guided tee shots with out of bounds, bunkers, whins, gorse bushes and trees to contend with throughout the course. The putting surfaces are always exceptional and very subtle that trick even the worlds best. Gailes Links is a fair course that rewards you for your hard work. In contrast it also punishes the slackers. Furthermore the course is often used as a qualifying venue for The Open Championship when the event is held at Royal Troon or Trump Turnberry. Prestwick Old Course is without a doubt one of the most famous ‘Old Links’ courses in the world and a must for golf in the west coast of Scotland. The Championship Links has been extended throughout the years since it hosted the first Open Championship back in 1860. Back then the tournament was played on a 12 hole course. 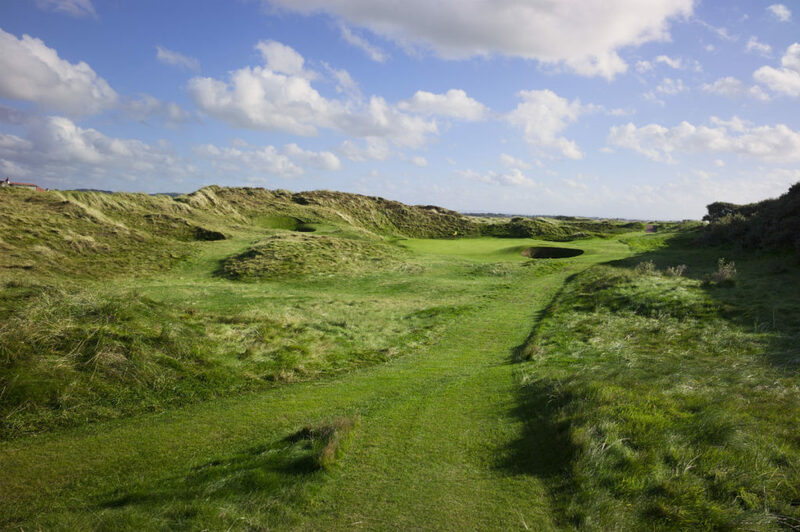 The Par 71 now plays just under 7’000 yds and is traditional a links course as you’ll play. You’ll encounter a few blind shots along your round and negotiate undulating fairways some would refer to as an ‘Elephants Graveyard’. Furthermore you will find some exceptional bunkering and finally fast and firm greens. Make sure you time your opening tee shot wisely though as the local trains fly past every few minutes only a few meters from the 1st teeing ground. Prestwick Old Course is a huge amount of fun to play and experience in the clubhouse that you will never forget. 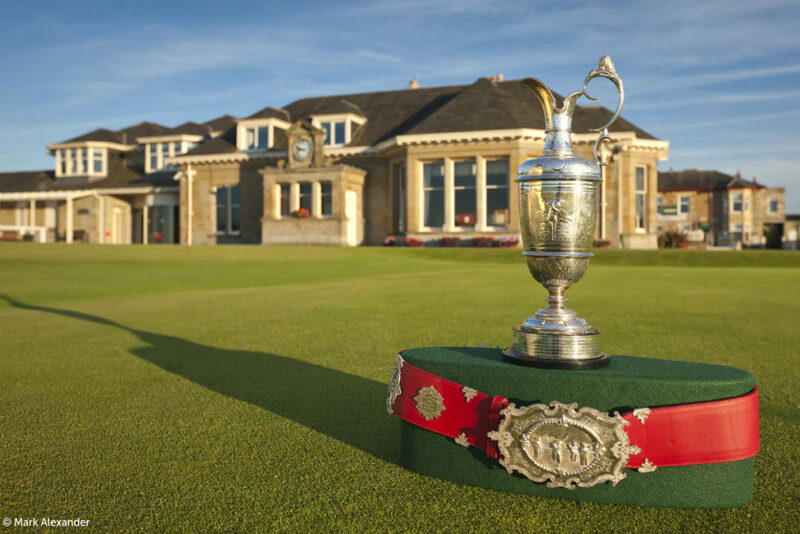 A 9-time venue of The Open Championship dating back to 1923. 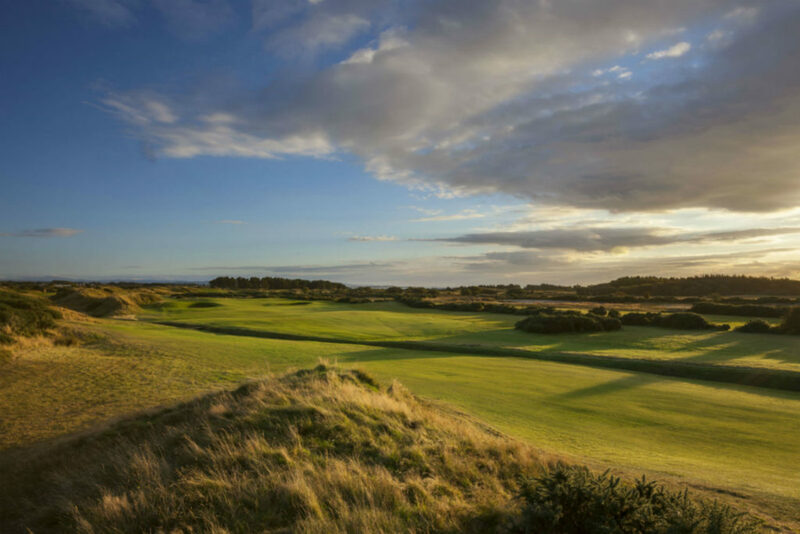 Royal Troon is amongst the legendary golf courses in the world. It was the venue to what was certainly one of the greatest final Open Championship rounds of all time. It was in 2016 where Henrik Stenson piped Phil Mickelson to the Claret Jug by shooting 63 to Phil’s 65. At over 7000 yds from the Championship tees, this Par 71 has a great mix of risk and reward holes. As a result, a number of holes demand great golf shots. 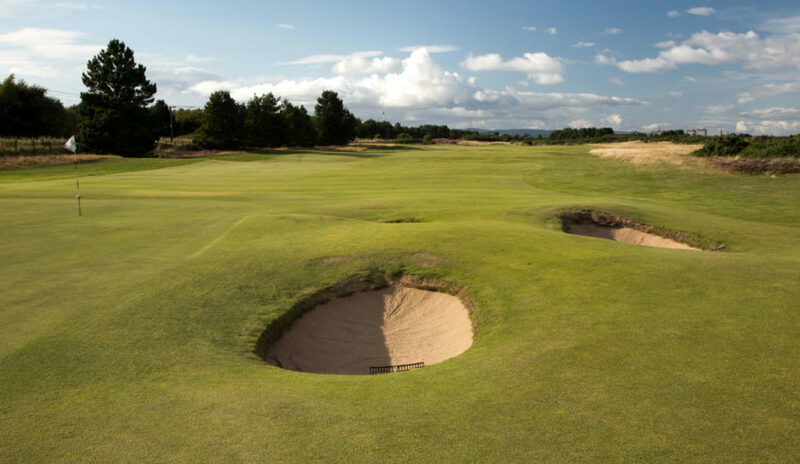 Royal Troon is home to one of the most famous Par 3’s in Golf, the ‘Postage Stamp’. The shortest Par 3 in The Open rota has seen the worlds best golfers fall at its feet. Teeing from an elevated tee, you hit across a gully to a well-guarded green with deep pot bunkers a sand dune to the left and a subtle putting surface. Therefore this par 3 requires a pinpoint accurate tee shot. Royal Troon Championship Links is open for visitors on Mondays, Tuesdays and Thursdays and is advisable to book well in advance. Located 25 miles south of Troon, Ayrshire holds another spectacular Open Championship venue at Turnberry. The Ailsa Course has hosted The Open on 4 occasions, most notably in 1977 where Jack Nicklaus and Tom Watson. Both players went head to head in the famous ‘Duel in the Sun’. In 2014 the Trump Organisation took over the resort and had Mackezie & Ebert architects redesign the course. They created 5 new holes – a masterpiece! A true golfing paradise, Ailsa is one of the most picturesque courses you will play in the west coast of Scotland. The 9th hole ‘Bruce’s Castle’ is one of the most stunning Par 3’s you’ll ever play. 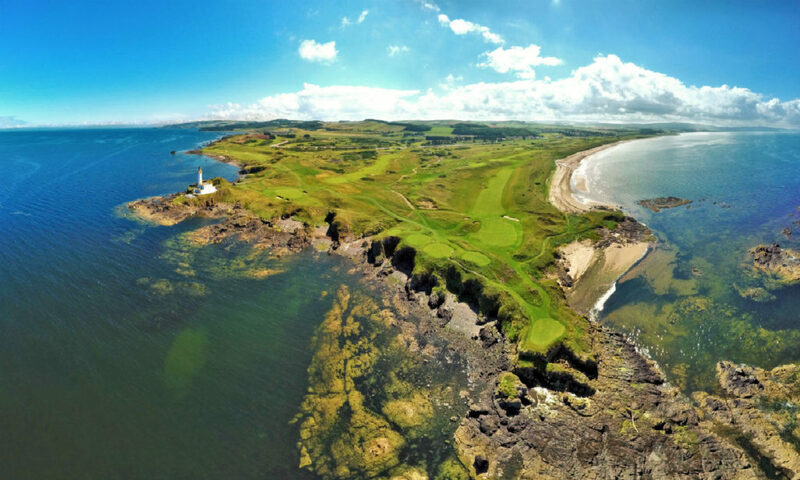 With the backdrop of the famous Turnberry Lighthouse and over 240 yds from the Championship tees. Players need to hit across the bay to a tricky green, so club selection is key. The course is open for play to visitors 7 days a week and advanced bookings are essential. Western Gailes lies on one of the narrowest strip of land on the Ayrshire coast between the sea and the railway line that divides it from Dundonald Links. 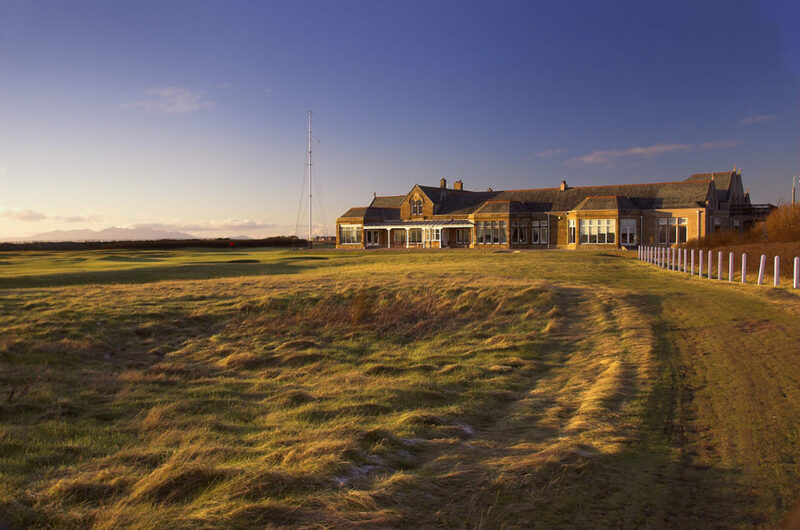 The club was founded in 1897 when four Glaswegians who were tired of playing soggy parkland courses near the city decided to create their own coastal links retreat. Till this day the land and course layout remains very similar. The course layout is unusual, with a huge variance of golf holes, which boast rolling undulating fairways, clever bunkering and well protected greens. Above all, don’t forget the burn that meanders its way throughout the course. Western Gailes has hosted a lot of prestigious events such as the Curtis Cup and is also a qualifying venue for The Open Championship. It provides a stern test of golf that can almost guarantee you to use every club in your bag and every bit of creativity in your locker. For that reason, Western Gailes is often touted as the best 18 holes you’ll play in the area. If you like the look of these courses and would like to experience golf in Ayrshire we recommend checking out our West Coast and Whisky Tour and Fairways Tour. Alternatively please let us know if you wish to play any of the courses above and we will include them within your customised golf tour.